Title: 'Sveciae Regnum Auctore Andrea Buraeo Sueco'. 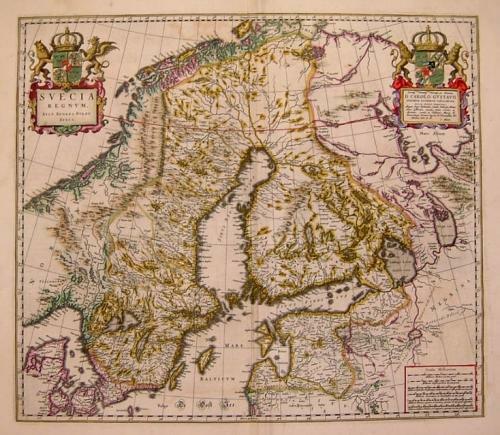 An attractive map of the Kingdom of Sweden from the famous Blaeu company. The map is in very good condition with only slight toning in the margins.